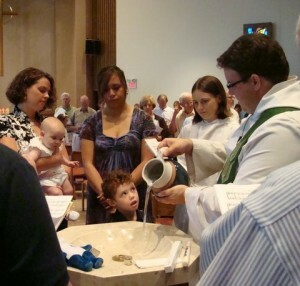 In the Episcopal Church, it is our tradition to baptize infants as a sign of the commitment made by parents and the entire community to help children grow up surrounded by the love we find in the Gospel. We are also glad to work with youth and adults who are discerning whether they feel called to be baptized. If you are considering baptism for yourself or your child, please contact our clergy through the office at 913-451-0512.